Inspired by her young life spent in both Iran and Paris, Catherine M. Zadeh’s namesake New York City-based contemporary jewelry line is a highly considered collection of sculptural shapes referencing subtle, masculine elegance with urban edge. 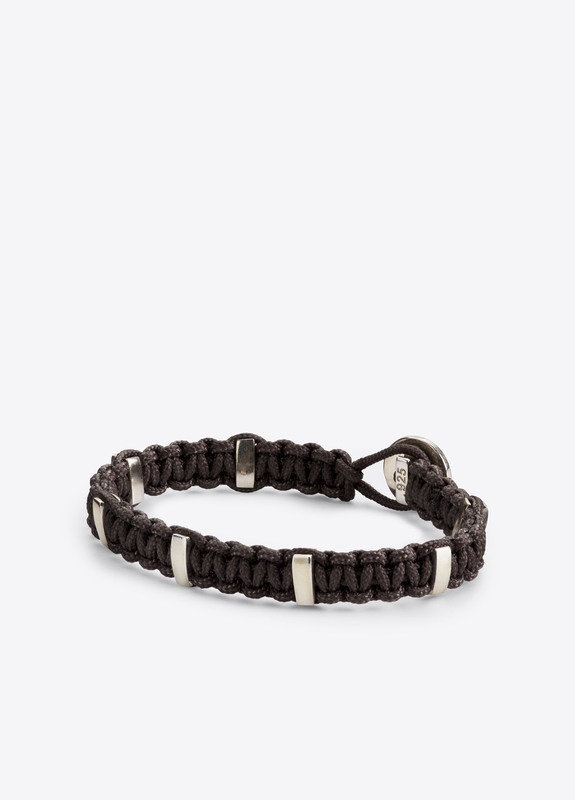 Woven macramé parachute cord bracelet faceted with high-polished sterling silver accents. 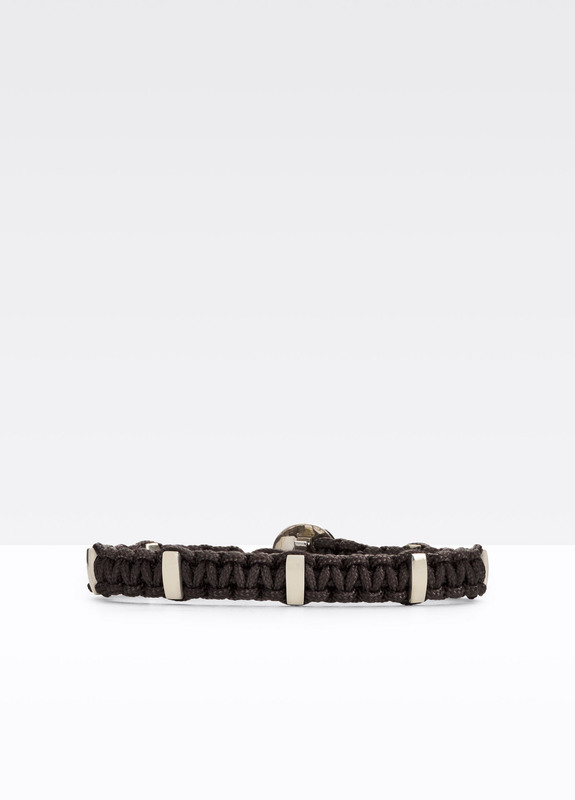 Made of sterling silver and dark grey, waterproof parachute cord. 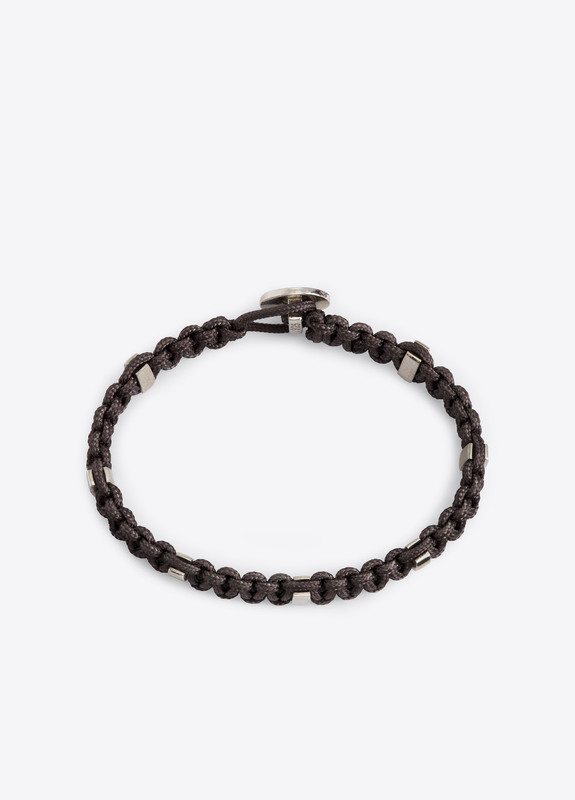 Sterling silver button clasp closure.